Was in the neighborhood so stopped into your new town. 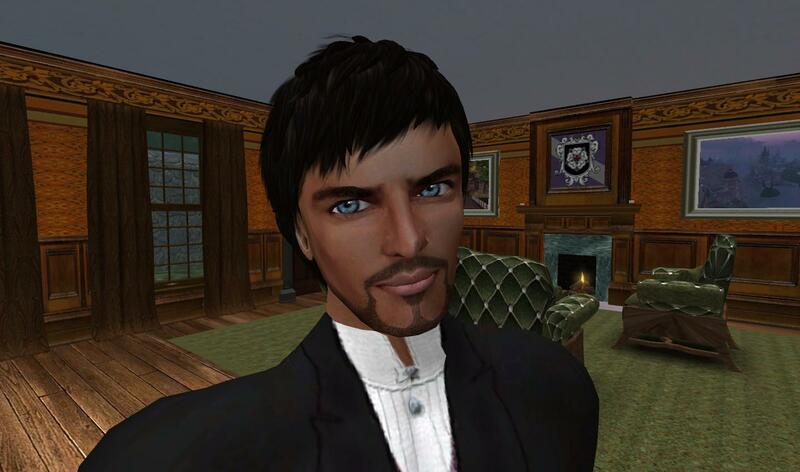 Sorry to have missed you but I had business in Caledon and was only in for the day. Handsome little village you have there. Wandered through the buildings as most of the doors were unlocked. So you’re going through with that general store after all, eh? Brother Levon is all excited about it. He said to pass along that he will arrive in Winterfell in a fortnight. Found the shop, saw there were some mens clothing items for sale. Needed something appropriate for the trip to Caledon so I gave you a little business. Am I your first customer? Do I win something? Just kidding. Walked down to the boathouse to see if there was a way to get across to your castle or the cottage but there was no one around. Went back up the hill and found a bench to sit on and enjoyed the view of the castle for awhile. Castle is very impressive, must be something to live there. Looking forward to the castle-warming party! Do Dukes do that sort of thing? Stopped in your gallery and looked at the photographs of Winterfell. Very nice. I’ll have to come back when your exhibit opens. Used your office to change into the new clothes I purchased. Very attractive building. Saw another building under construction, what’s that going to be? Caught the ferry to Cape Wrath and walked by the old family retreat. Wish you had talked with me before you sold it. Eh, probably dreaming there anyway, forget I mentioned it. After finishing my business in Caledon on behalf of the college, took the train down to SouthEnd and am sitting here in your pub, writing this letter and enjoying a pint. Funny, you have a town called Evergreen but your Evergreen Pub is in SouthEnd and the Emerald Inn will be in Evergreen. Shouldn’t you be moving this pub up there? Am I missing something here? Sure you have a good reason. Well, must close now and catch the train for the trip home. Let me know if you have a grand opening or other festivities, would love to be there for you. Never thought I’d be related to a Duke! Don’t let it go to your head now m’Lord. Ha! Annie asks if you have read the letters yet? You should write to her when you do. I know you know that but I promised her I’d nudge you. Don’t work too hard, Brother, get your rest. Don’t let this new town take all your time. Get out there and have some fun too. I’m sure there’s a lady friend or two who would be pleased to accompany you. You know what Uncle Manuel always says, take it easy…but take it. It was a cold day to be outside working but there I was, surveying the northern area of Evergreen, looking for the right spot to put a cottage which will be rented out to writers. It will be a nice place in the woods for one to write, think or just chill. The location is along my border with Mourning Wood, a territory of woods, water and the impressive Carenduna, home of Lady Rachel’s family. I ventured across the boundary and into my neighbor’s south woods. 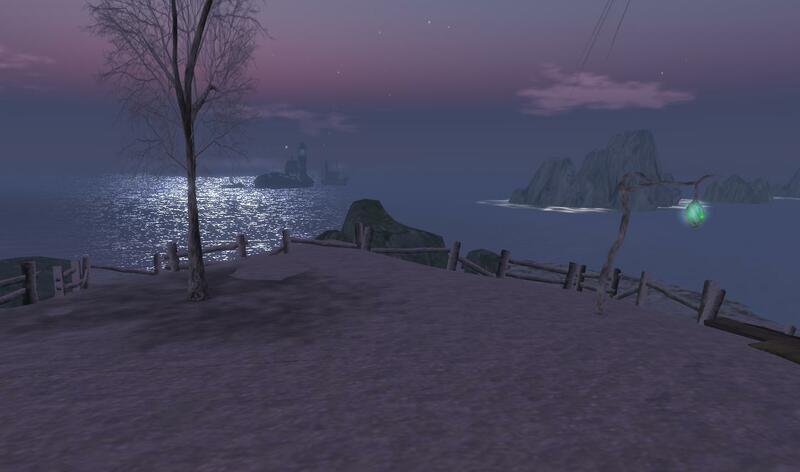 As I walked, both the view of Carenduna ahead of me and of my village behind were enhanced by the woods around me and the twilight Winterfell sky. Then I glanced to my right and saw my home, Evergreen Castle, in the distance. It just doesn’t get any better than this. What a beautiful spot. Lady Rachel has spoken of her north woods several times and I realized that was my destination. I walked up to her large home and past it, headed for the path to those woods. Every step along the way, marveling at the beauty of it all. The north woods featured some small structures including a cabin and a MAGE portal, available to the public. As a time traveller, I have used such devices before, so I had to take a look at the list of landing points. I shall come back and try this on another day, I thought. I stopped several times to enjoy the view of open water to the east and north and of Undertow and Libris to the west and northwest. Standing at the edge of the trees with a wide view of these two open water regions, the beam of the distant lighthouse in Undertow, and an other-worldly affect of light from Libris gave the impression that these waters went on forever and made one feel as if on the edge of infinity. I did not stray from this spot for sometime. Finally, I left the north woods for the trek home. I crossed the bridge in front of Carenduna and could see the ice was thick enough that it was safe to walk across the water to the outer land along the border with Undertow. I am so glad I did this as I made a surprising discovery. It’s not a big deal but something I was unaware of until now. And it made me study my maps as soon as I got home. We always think of Undertow as an open water area but there are little specs of dry land at four spots along its borders – three on its western side and one, right here on Undertow’s eastern boundary, that connects to Mourning Wood. I never noticed this. What a nice, isolated spot to sit – in the warmer weather months, of course – and gaze at the sea. And the discovery of this spot made me think, “Hey! Our southeast continent is not three sims, it is four! Haven, Evergreen, Mourning Wood and Undertow – all connected by land! Who knew? !” Like I said, it wasn’t a big discovery but it’s the kind of little thing that turns an explorer on. I left the tiny peninsula in Undertow, walked a few steps and I was back in Mourning Wood. Then I walked back to Evergreen, up the new path that Lady Rachel and I have connected and into my village. From there I took my rowboat to my cottage on the island I have not yet named. I got the maps out and looked at my photos and decided to do this article. 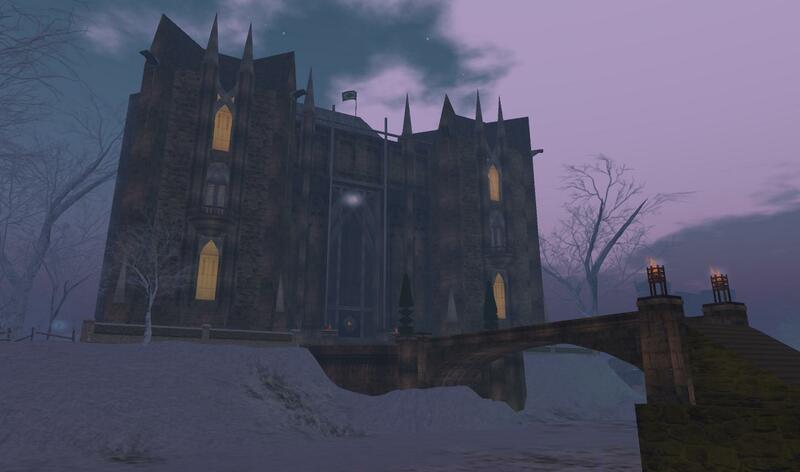 If you visit the Mourning Wood sim, in the southeast of Winterfell, do remember that it is the home of Rachel du Carenduna and respect her privacy and that of her relatives, friends and buildings…as you would at anyone’s home. Always remember Rule No. 1, explorers must always be courteous toward others and toward private property. Lady Rachel does welcome visitors to tour the grounds and woods and view the sea. There are many beautiful spots in Winterfell, this is truly one of them. It is worth the trip if you are looking for a nice place to walk and be alone.